Incised alchemical symbol for Mercury on the base of the lion. 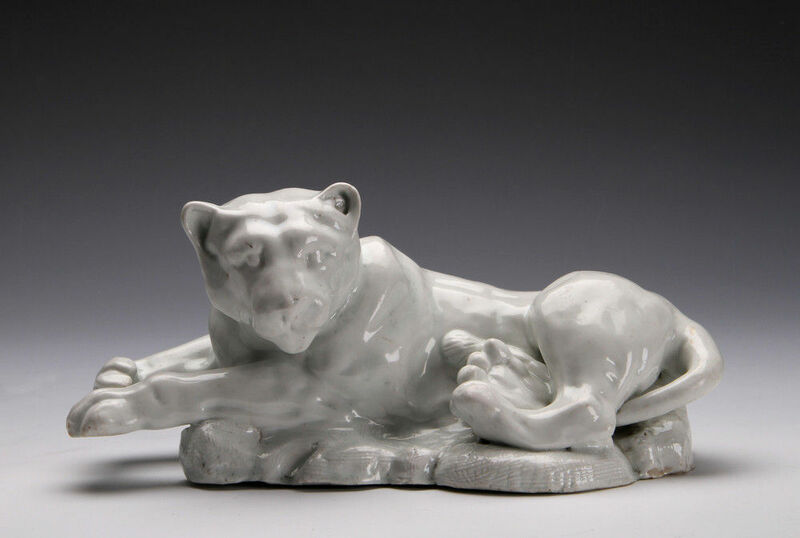 These figures differ somewhat in structure and in colour, the lioness having a slightly bluer cast. At this early period of production this is not unusual and they may have been from different firings. 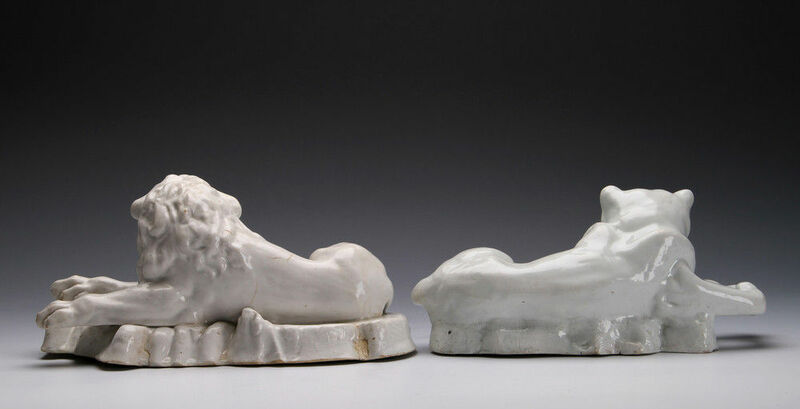 These are the largest models of lions made at Bow. The significance of the alchemical symbols that are sometimes found incised on the porcelain is not known. 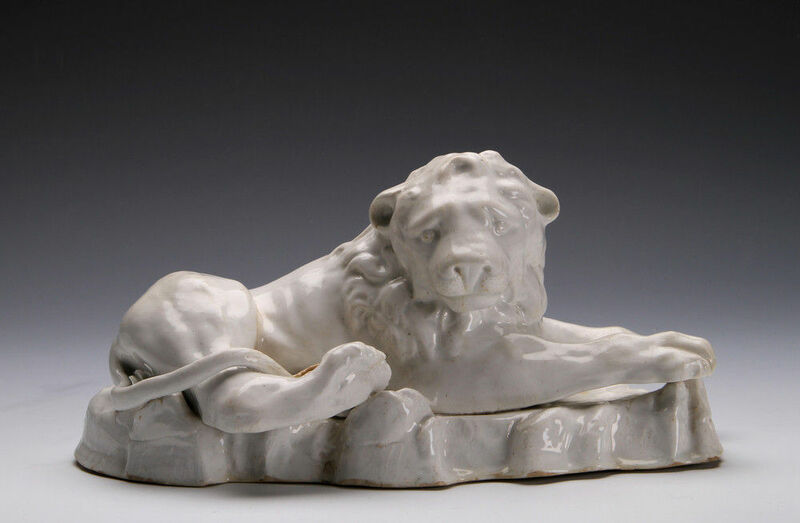 Drying cracks, which are characteristic of such large masses of porcelain, have been filled with paste at the time of manufacture. 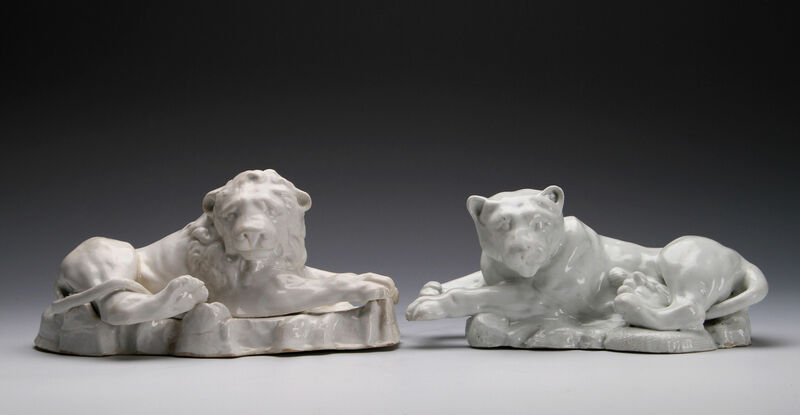 Literature – A similar pair of lions is illustrated in Bow Porcelain, Elizabeth Adams & David Redstone, Faber, 1981, p. 195, fig 122.